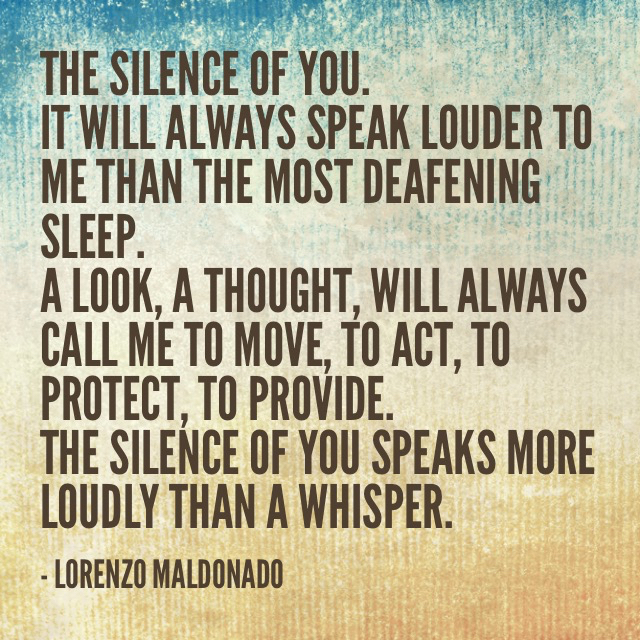 The Silence of you. It is the space between. The space between what we know based on what we see, and the space that we feel based on our acceptance of what we know. It is its own unique time and place. A moment between two souls where the silence is not just acceptable, but a silence that also fills every emotional, physical and mental need you have for yourself. At times it is not what is just said or conveyed through action, but an inaction of thought, and an absence of fear towards loving something or somebody as much as you love yourself that, can have the power to dictate outcomes. The silence of you. The miles I see before me will never compare to the moments I have with you. The Silence of you is larger than life itself, it means that I have you for another day. Until next time, Love LO.